I have fun photos to share! I've posted several times lately about mentoring. The focus of the latest edition of Trail Talk was, in fact, "mentoring," as well. And I've mentioned several times that it has been quite the rude awakening for me to realize that I am indeed the "older woman." If you also are the more seasoned woman, you know of what I speak. And if you're still the young thing...just you wait! But last night as I drove home from our MOPS Unplugged Progressive Dinner, I couldn't help but be thankful for the opportunity to invest in these terrific younger gals. What a pleasure, just a plumb pleasure! on the left and Nicole on the right. 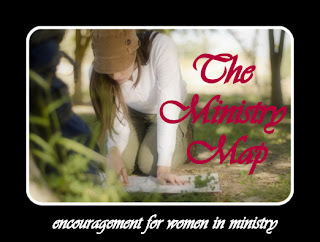 I serve as a mentor mom for our church's MOPS group. In fact, I've been a mentor mom for one MOPS group or another for about eight years now. Still, I struggled with the role for the first four years or so. I knew I was definitely older and further down the trail than the mothers of preschoolers around me, but I didn't really see how I could possibly have anything to offer them. I think part of the problem was that even though I was supposed to be the older, been-there-done-that mom, I was still going to the MOPS meetings looking for what I could get out of the experience rather than focusing on how I could contribute. There is a necessary shift from soaking in to squeezing out that must take place in order to really find the joy in serving. Finally, one Monday morning just a few years ago, I was standing in my bathroom and putting on my make-up and sizing up my cute outfit for the MOPS meeting when a still, small voice said to me, "You know, Kay, this morning really isn't about you." To be honest, I was stunned. But I heeded that voice, and as I made my way to the MOPS meeting across town that morning, I prayed for the Lord to heal me of my self-absorbency and to give me joy in serving others. I asked Him to open my eyes to the needs and questions and anxieties of these younger women, and to show me how I could be of service to them. Whether that meant holding their crying babies so they could drink their coffee in peace or praying with them or listening to them or just laughing with them, I wanted to serve instead of soak. but our faith is a quick bond! I still have to remind myself on a regular basis, just about any time I minister to others, that "this is not about me." That's shameful to have to admit, but it's the soul-naked truth! But here's what I've found. When I do willingly and joyfully and selflessly pour out to others, I also receive more than I ever could have asked for or sought. There is great satisfaction and meaning and happiness in giving of yourself to others. I know this is a hit-and-miss word of encouragement. You may not be the older woman standing on the edge of investing in younger women. But you may be standing just on the perimeter of doing something the Lord has called you to do. Regardless of if you're the older woman who needs to realize she is indeed the older woman or if you're the young woman who needs to step up and start leading out in something, I want you to hear me loud and clear: Do it! Pouring out is risky and vulnerable and demanding and hard, at times, but it's also extremely rewarding. This morning, as I look at the chairs and tables in my home where young women sat just last night, laughing and sharing and eating, my cup overflows! Yours can too.